Study Day – AAC for people with acquired communication needs. Are you supporting adults with communication needs? Do you want to keep up to date in the latest technology and strategies? Develop your knowledge and skills to empower the people you’re working with. 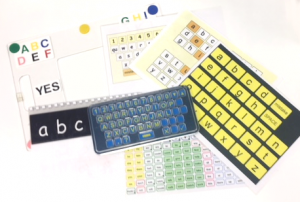 Paper-based strategies – a demonstration of alphabet resources and sign-posting to get you started! Date: Tuesday 26th March, 9.00-4.00. Location: Ace Centre – South Office, Abingdon. Cost: £50 including refreshments and a buffet lunch.